Ahead of its small screen debut this Christmas, Picador Publishing Director Francesca Main reflects on how it felt to read Jessie Burton’s bestselling novel The Miniaturist for the first time. I’m sure every editor would say the same thing: you never forget the experience of reading a truly exceptional first novel for the first time. I’ll always remember how it felt to devour Jessie Burton’s The Miniaturist in manuscript form, rooted to the sofa, desperate to keep reading yet trying to savour every word. Breathlessly plotted and heady with atmosphere, I was mesmerised by the secret passions and dramas playing out behind the closed doors of that grand house on the Herengracht, my sympathies shifting and heart beating faster as the pages turned. One of the things I loved most about the novel was how vividly every moment had been brought to life by Jessie’s richly evocative and precise writing. It was like stepping into a painting. I could envisage every detail perfectly: the chequered floor of the hallway like a chessboard, the cones of sugar turning black in the warehouse, the miniaturist’s tiny creations arriving at the house in their paper parcels, inked with the sign of a sun. This Christmas, I’ll be rooted to the sofa once more, as The Miniaturist comes to BBC One in a stunning TV adaptation. I’ve been lucky enough to see the first episode and found it astonishing – not just because it’s so beautifully made, with lavish attention to detail and phenomenal performances, but because the images on screen so closely resembled those that had been seared in my mind’s eye ever since that first reading. This is, of course, a tribute to the world-class cast and crew who have poured such talent, energy and imagination into the production. But most of all, I think, it’s a tribute to Jessie Burton herself, for bringing the world of her story to life in such intoxicating and unforgettable clarity. 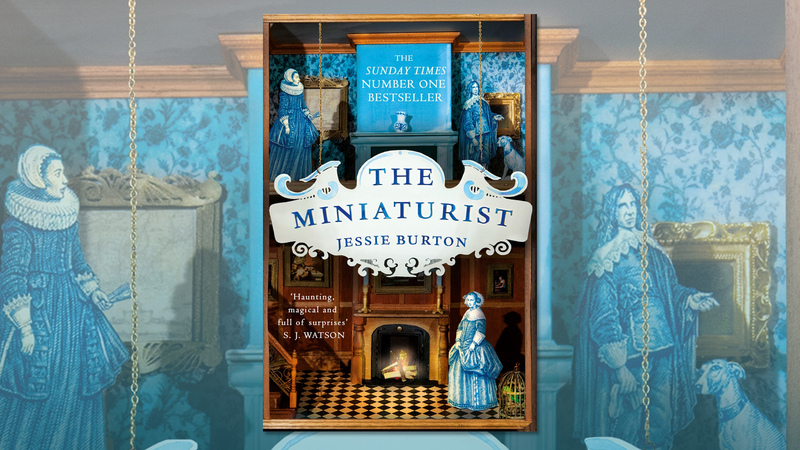 The Miniaturist is the million-copy bestselling novel by Jessie Burton. The Miniaturist has been adapted for TV and will be airing in two parts on BBC One at 9pm on 26th and 27th December 2017. Find out more about the tv adaptation of The Miniaturist here.